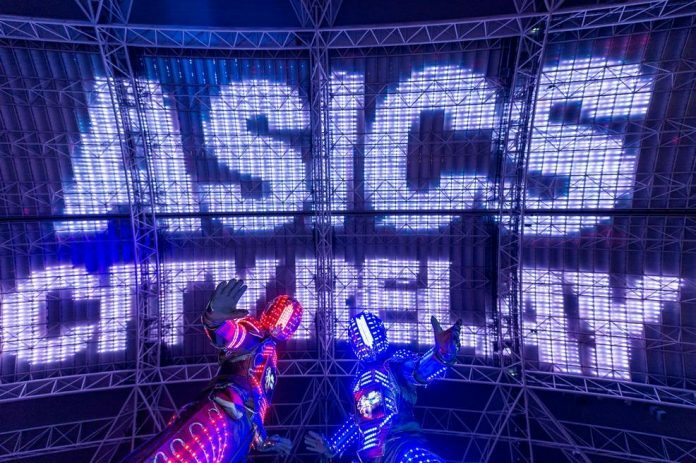 Race Review: ASICS City Relay 2016 [Marathon] (by Moses) | JustRunLah! Credit to Asics City Relay's Facebook page. I write this with the intention of making it a holistic, objective review of the Asics City Relay 2016. As with my other reviews, look out for the font in italics where I highlight certain aspects of a race I deem important. Do note that I was participating as the first relay runner of my race category (Marathon), therefore my experience (which you can read about in greater detail here) best encompasses the experience of a participant running the first relay leg. 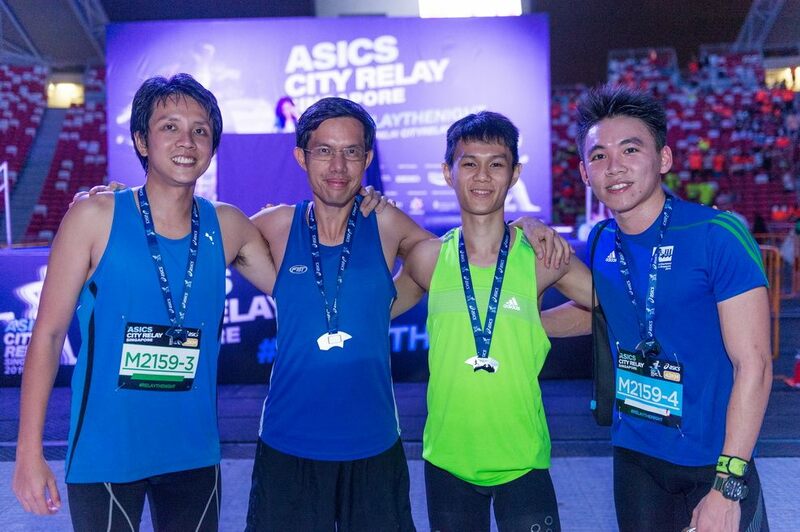 This was one of the rarer occasions where I won a free race slot from a giveaway contest on Asics City Relay’s Facebook page:) Together with a three other runners (who also won free slots), we formed a team to participate in the Marathon category. This meant each of us would run approximately 10.5km. 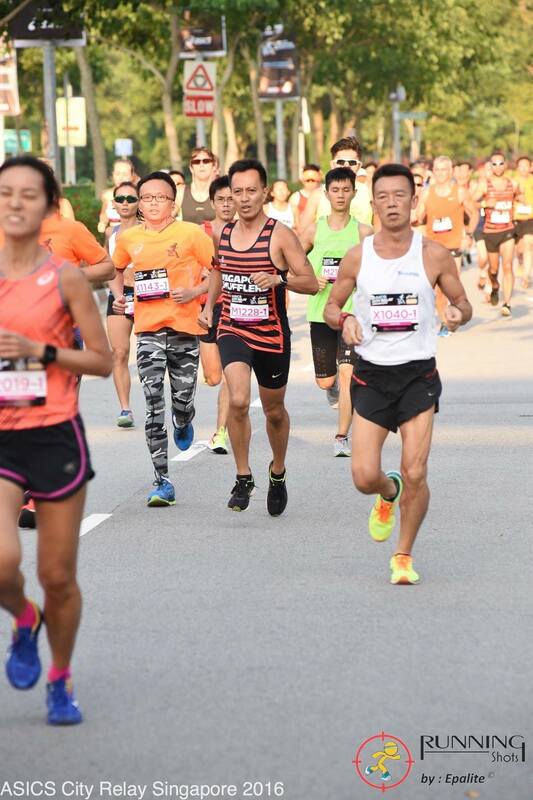 This event also offered participants the chance to run the Half-Marathon category as a team – which would mean participants would be running about 5.25km instead. Race Entry Pack Collection was held from 14-15 September 2016, from 10am-9pm at Velocity. No doubt a convenient location (for me, at least), yet it was even more convenient that my teammate was able to collect the race packs on behalf of all of us. A simple race pack – a drawstring bag, the event tee and a Soyjoy bar (sorry if I missed anything out – but if so it probably meant that it didn’t grab much attention). Nonetheless, not complaining considering this was a free slot! Many local races are held around the F1 pit building or Gardens by the Bay, however this one was to take place around the Singapore Sports Hub. Some benefits included accessibility, ample dining options nearby and of course the uncommon opportunity (for me at least) to enter the National Stadium. Security was present at the entrance of the Stadium for brief checks of runners’ belongings. Though no baggage deposit was available, this was acceptable because not everyone in a team was running at the same time – hence teammates could help to take care of each other’s belongings. One notable task that runners of the first relay leg had to do was to collect a slap-band that would serve as the “baton” for the relay. There were some fantastic displays projected at the top of the stadium as well! Now that’s a pleasant sight. Credit to Asics City Relay’s Facebook page. Flag off was scheduled and did take place at 6.00pm sharp. Really sharp, as evident from a Seiko digital display which I couldn’t help but constantly gaze towards. This was great, as I’ve heard of flag-offs in other races which can be awfully abrupt. 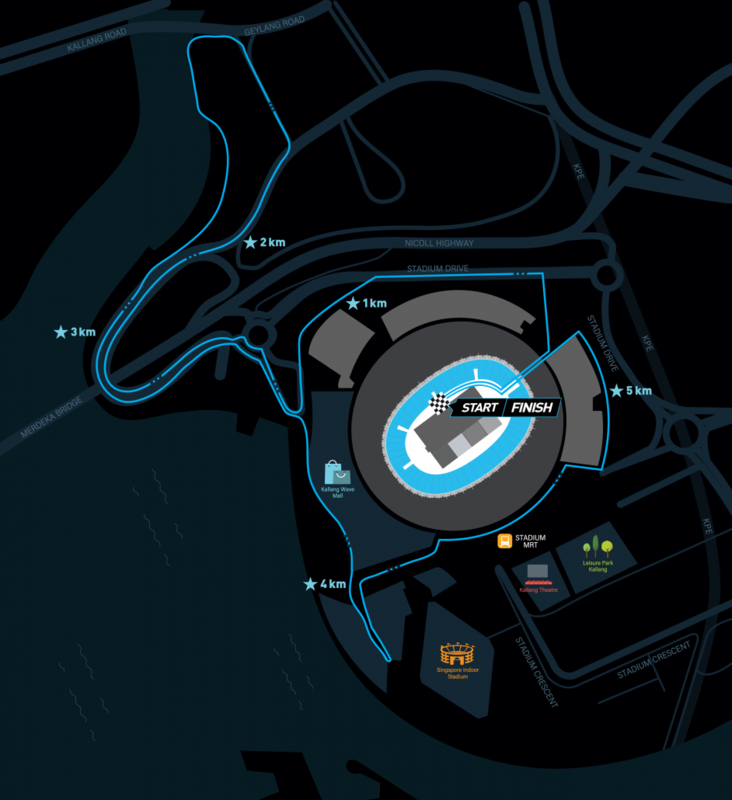 The race route would take participants around the Sports Hub, venturing as far as Geylang road (which isn’t at all far – this means lots of looping in the vicinity of the Sports Hub to clock adequate distance). Those running the Marathon category would run two loops. The transition within the stadium between the first and second loop was less clearly spelt out. I found out during the race itself, taking me beneath the grandstand and around the stadium (in an eerie blue section) before heading off for the second loop. Notable challenges of the race included the numerous bends which were effective in breaking momentum. Thankfully, the course profile was relatively flat and I didn’t encounter any bottlenecks as the number of participants around course at a time was limited to the number of participating teams. Numerous twists and turns. 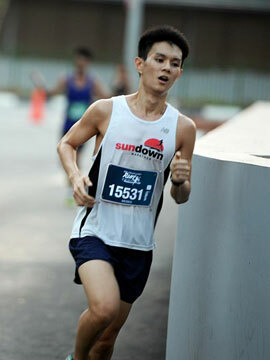 Credit to Asics City Relay’s Webpage. Thankfully the race isn’t starting any earlier in sunny Singapore. Credit to Running Shots. Hydration was made available at two occasions per loop of the race. Chilled water and Pocari Sweat was served in plastic cups – which isn’t the easiest to drink from (opposed to pinchable paper cups) when running. I cannot recall if distance markers were present – if they were they certainly weren’t particularly noticeable. 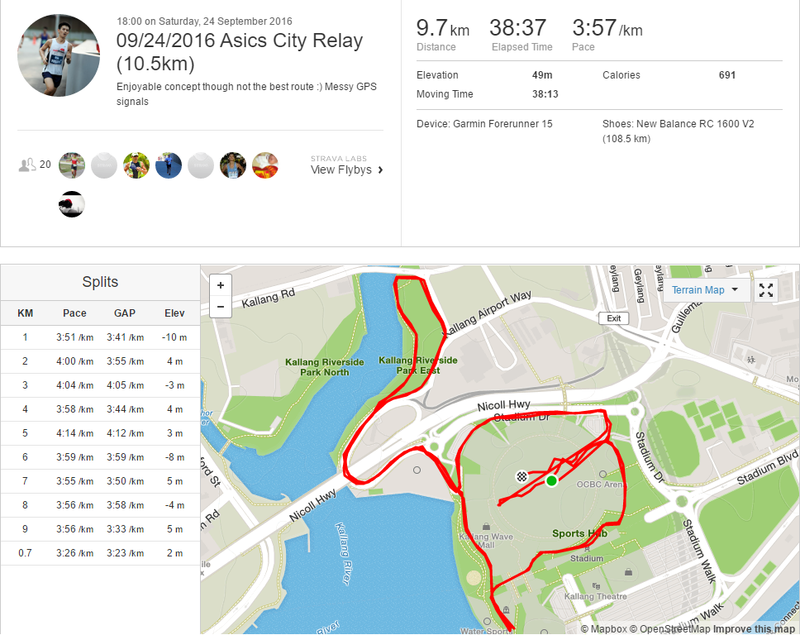 I couldn’t ascertain the course distance as GPS data was affected while running through the stadium, though I do estimate that it was less than the stated 10.5km per runner. The best part of the course in my opinion? The entry into the National Stadium! For one, you’re running towards a vast amount of participants (it’s hard to slow down when everyone’s watching). Furthermore, the air-conditioned atmosphere is simply refreshing. Strava data available here 🙂 As you can see, the GPS gets a little agitated in the stadium. The Team. Credit to Asics City Relay’s Facebook page. I sure hope this was an enjoyable read. As always, you’re welcome to read more about my personal thoughts on the race here! Click here for more post from Moses.